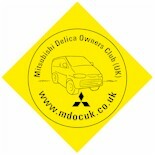 Mitsubishi Delica Owners Club UK™ :: View topic - Missing Air Hose?? Posted: Sun Oct 31, 2004 12:21 Post subject: Missing Air Hose?? I've justed fitted a UniFilter air filter to my Deli, but I noticed under the cover behind the drivers seat that I have what looks like a missing hose. There is an air duct that starts in the front right corner (as you face the rear) and goes through the wheel arch and another one that comes off the filter box that ends on the front left. The one on the left blows cold air when the engine is running. So could somebody take a peek at their air filter and tell me if they have a hose connecting these two ducts. I can't see a hose in the pix in the EGR mod post. I don't have any problems with temp or running at all, but I presume the ducts are supposed to be connected. ps. Sorry if the description is hard to understand. Posted: Sun Oct 31, 2004 12:21 Post subject: Google Ads keep this community free to join! I see what your thinking, makes sense. bit of an odd coincidence if it's missing from both. couple more Deli's too, just to put my mind at rest :? 1995 Delica Space Gear Exceed (PE8W) in LaGuardia silver with chrome tints and BIG round things. absolutely as designed. There is not supposed to be a connection between the air inlet and the filter! Who needs roads? They only get clogged up with traffic! Well they do say it's a thin line between genius and madness!! I panic when I see things apparently missing. yep - non on mine either. Sort of thing I'd forget to put back anyway, so it saves me not doing it!